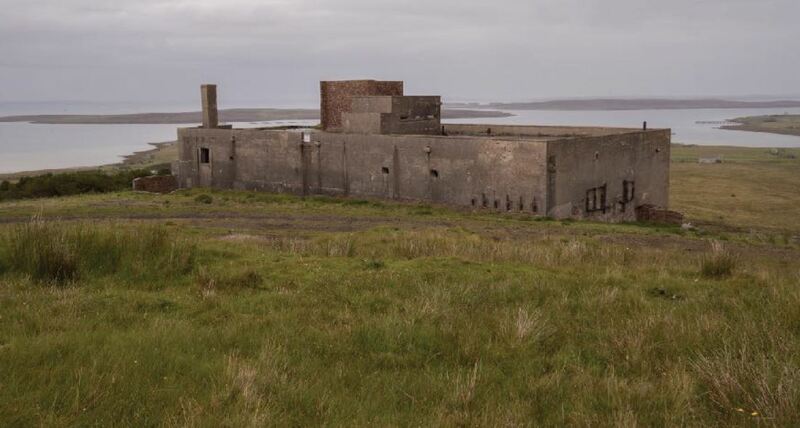 Military structures from both world wars punctuate the Orkney landscape; amongst them is this building from WW2 at Lyness on the island of Hoy. 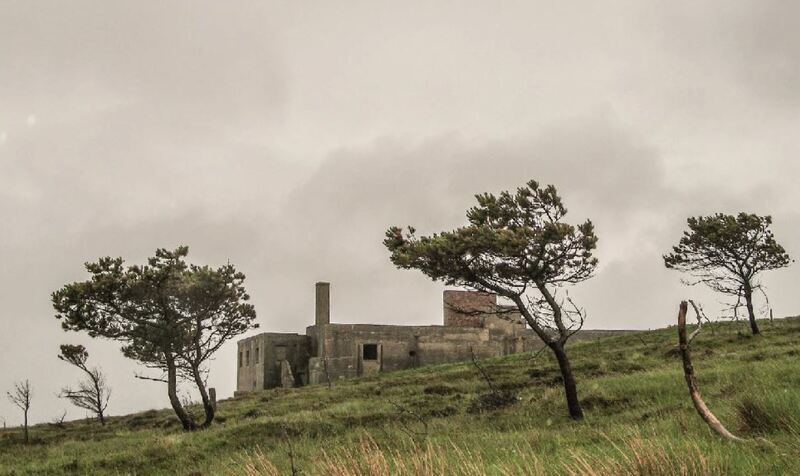 The remains of the Royal Navy Communication Centre (HMS Proserpine) are a prominent and citadel like presence above a small woodland on the hillside of Wee Fea. It’s rather out of the way, even once you’re on the island, although it is a conspicuous feature of the south Hoy skyline and visible from much of Scapa Flow. There was something about the appearance of this structure and its surrounding landscape that made a lasting impression when I ﬁrst photographed it 10 years ago, in July 2007. 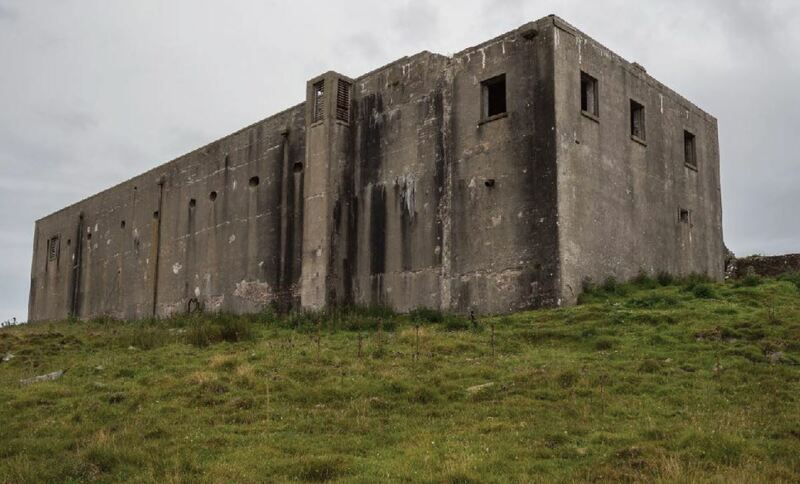 “The building was the main Base HQ and Communications Centre for Scapa Flow under Naval Command and named HMS Proserpine. 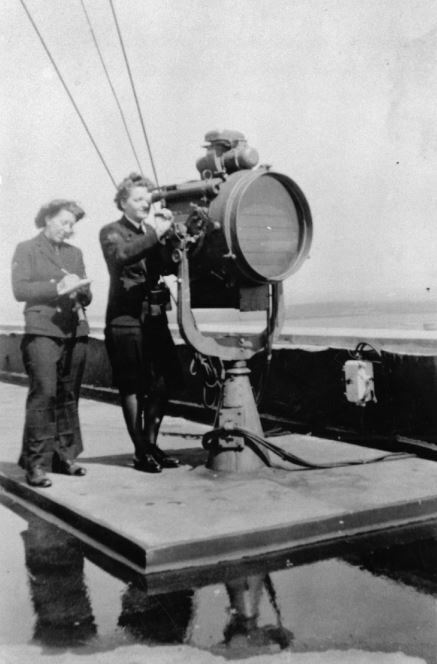 It became operational in 1943 and housed up to 230 Woman’s Royal Naval Service (WRNS) staff to handle signals via telephone, teleprinter and radio including from ships moored at buoys in Scapa Flow. HMS Proserpine at Hoy was linked to ‘Proserpine Thurso’ the radio station at Bower, and the radar station near Cape Wrath” . (Archaeological notes from Historic Environment Scotland CANMORE website). 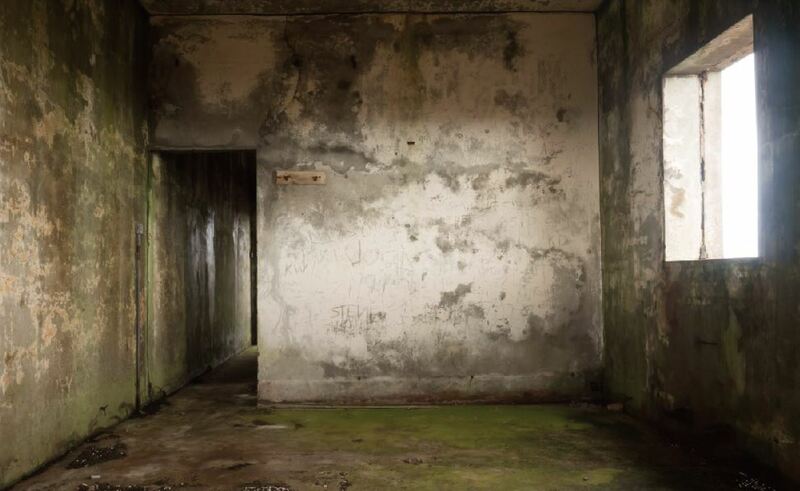 “The building was the main Base HQ and Communications Centre for Scapa Flow under Naval Command and named HMS Proserpine. 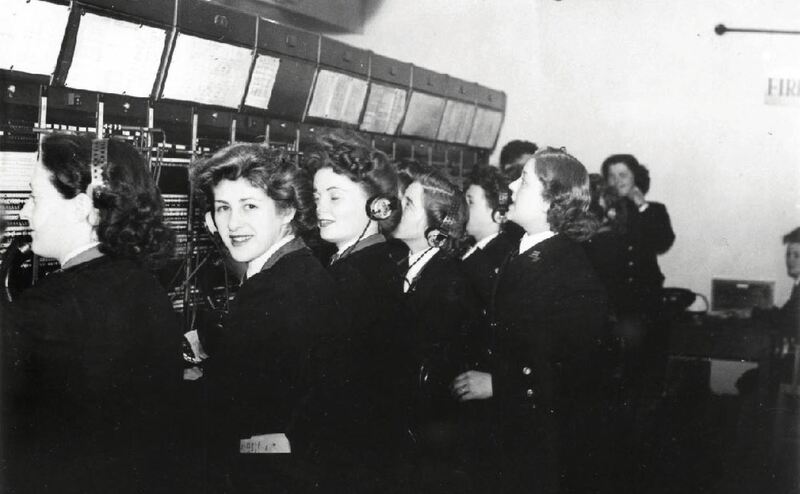 It became operational in 1943 and housed up to 230 Woman’s Royal Naval Service (WRNS) staff to handle signals via telephone, teleprinter and radio including from ships moored at buoys in Scapa Flow. HMS Proserpine at Hoy was linked to ‘Proserpine Thurso’ the radio station at Bower, and the radar station near Cape Wrath” . (Archaeological notes from the CANMORE website). The building is cut into the slope of the hillside of Wee Fea such that one side presents a sheer wall and the opposite side sits in a dry moat. The single entrance is by way of a short ﬂight of concrete steps and a rather narrow doorway that gives way to a ﬁrst ﬂoor lobby and a pair of rooms that have the only substantial window openings in the whole structure. 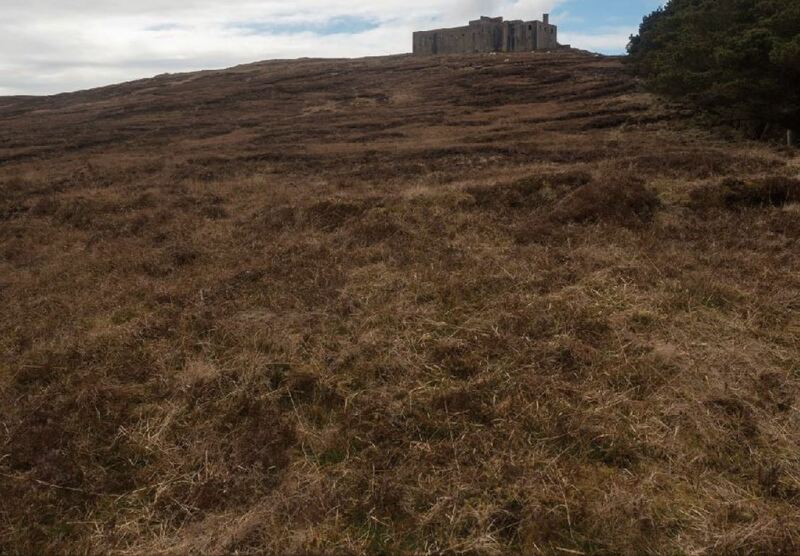 From here there are panoramic views of Scapa Flow and the adjacent islands of Fara and Flotta. 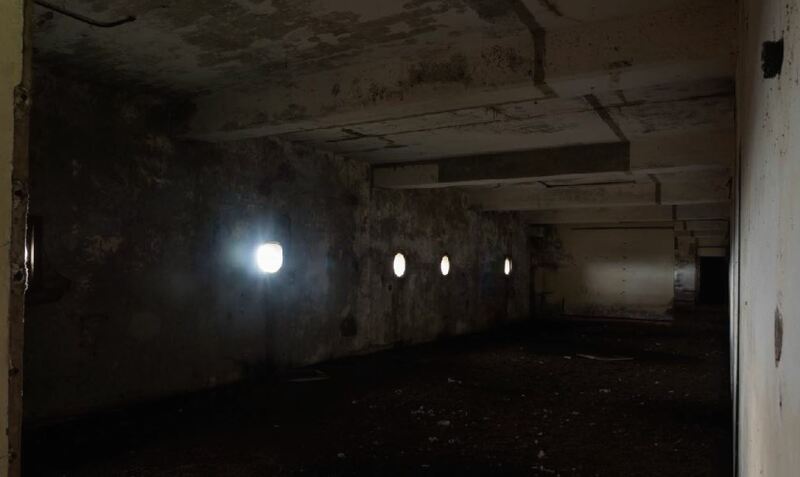 A few of the outer rooms of the ﬁrst ﬂoor are illuminated by porthole like window openings (this being a Naval facility); the impression is one of dazzle and gloom. 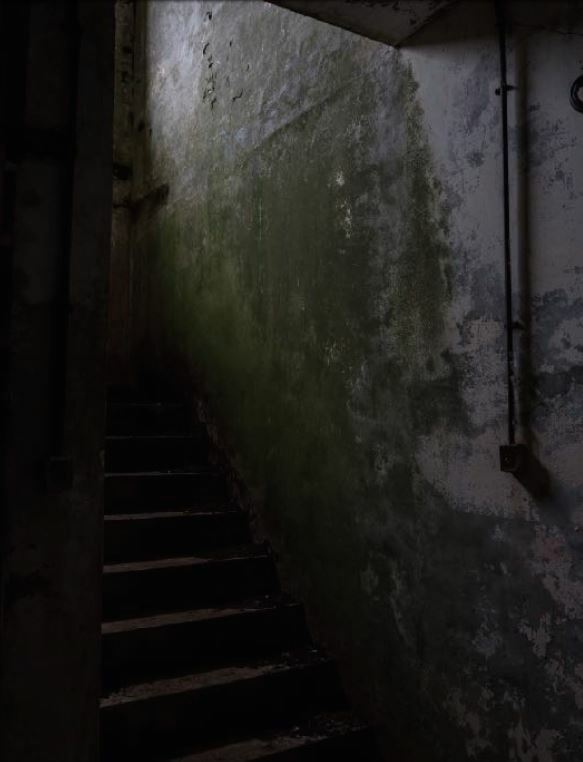 The basement is almost absolutely dark, except where reﬂected daylight ﬁnds its way into the stairwell and the ﬁrst part of the main corridor. The interior has taken on every shade of decay. 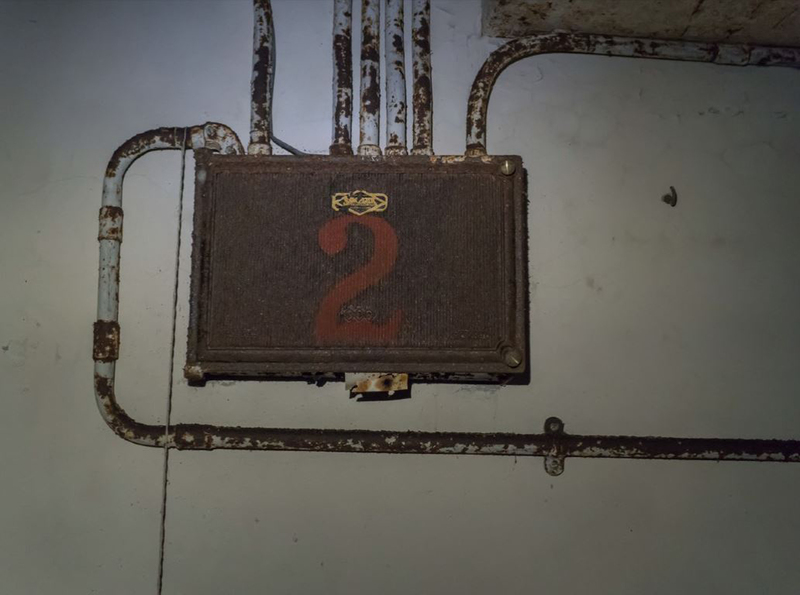 It is not so easy to imagine these spaces full of the light and life shown in contemporary photographs; only the remains of an ofﬁce desk, rusting ventilation ducts, electrical trunking, the skeleton of a ceiling-lamp and a row of numbered coat-hooks give any sense that this place was once busy. One of the basement rooms has a large, shallow puddle that receives occasional drops of water from the ceiling… perhaps three every minute. The cold, silent, echoic space is ﬁlled with sound for a few moments. This could be a cave. 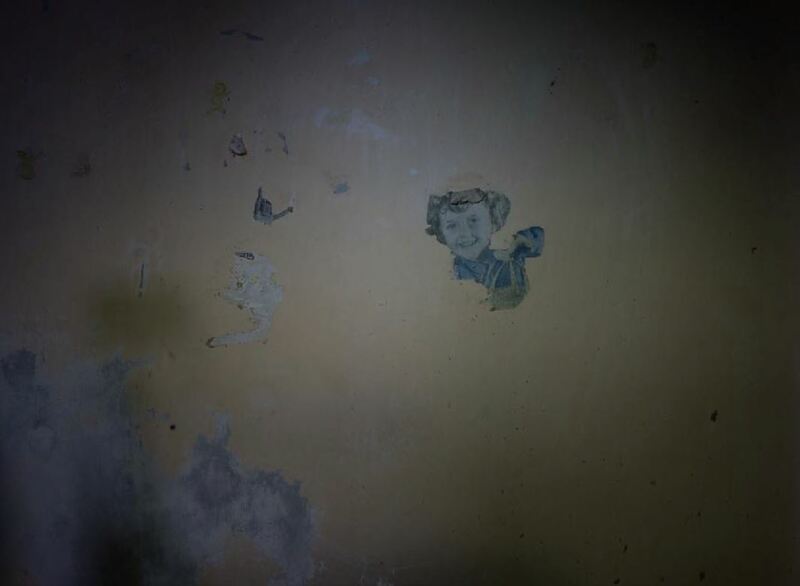 What I will long remember was the sudden encounter with this face of a child carrying a basket, and pasted to the wall of an inner room on the upper ﬂoor and caught here in the light of a head-torch. The face and its smile seemed so at variance with the cold and dark emptiness of the surroundings. It took some time to notice the second ﬁgure. The cherub and other fragments I saw only after studying the photographs back at home. To judge from the style, these pictures are far from recent. The top of the main image has peeled away from the wall to reveal a little of the reverse; a fragment of text, perhaps a headline, Old Sh (sheep, ship, show, shape, shadow) and part of a of another face. To further peel this from the wall might have revealed a clue as to its age but would have felt like an act of violation. 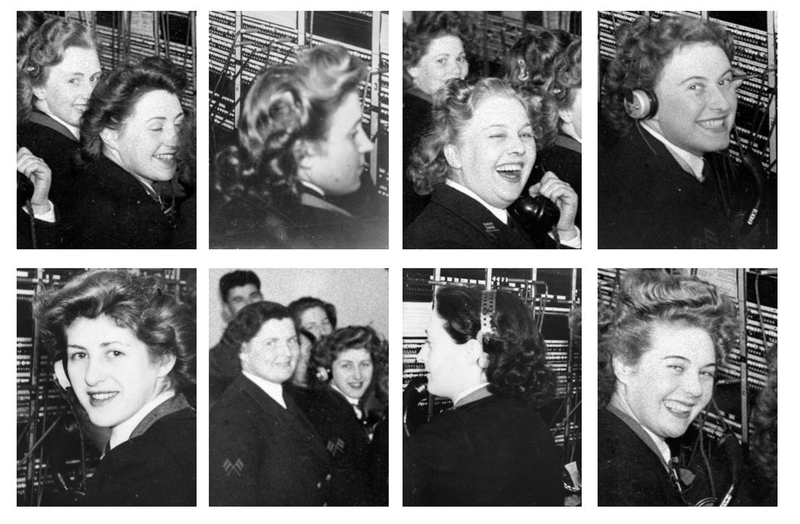 Later in 2017 and with the help of the Orkney Archive I found these photographs of the communication centre in use. They presumably date from some time between 1943 and 1945. 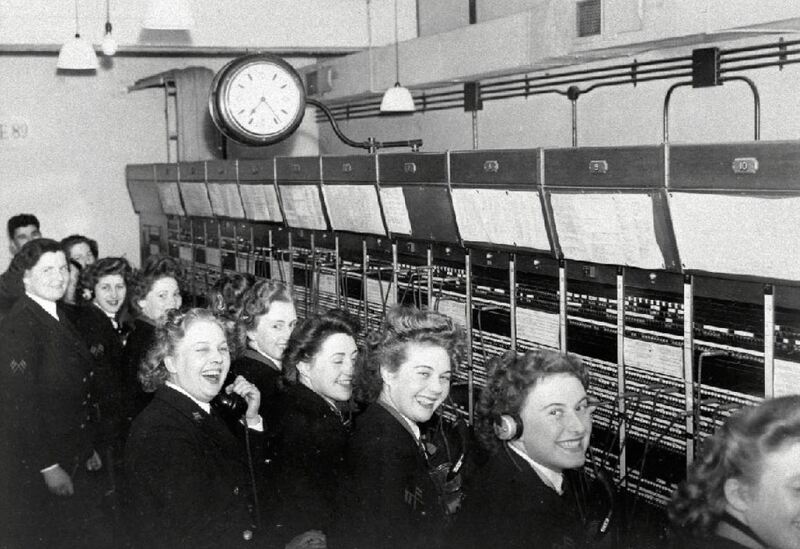 The engaging expressions of the operators left a lasting impression and I found myself wondering if I could somehow return the images to the site. 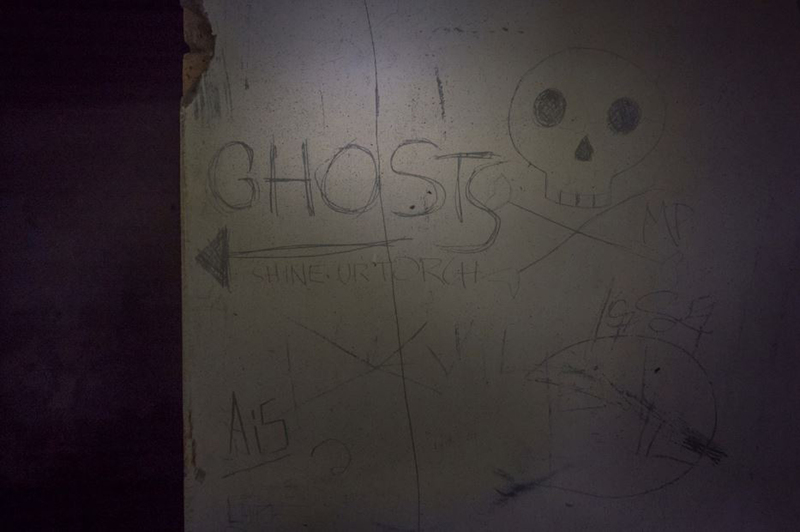 So, on the 7th of April 2018, carrying night-light candles and portraits of the operators, I took the Houton to Lyness ferry, walked up Wee Fea, donned a head-torch and searched the building for the room in the photograph. The view northwards from the upper landing. Before leaving for Orkney I had copied and enlarged the faces of individuals from the original photograph. 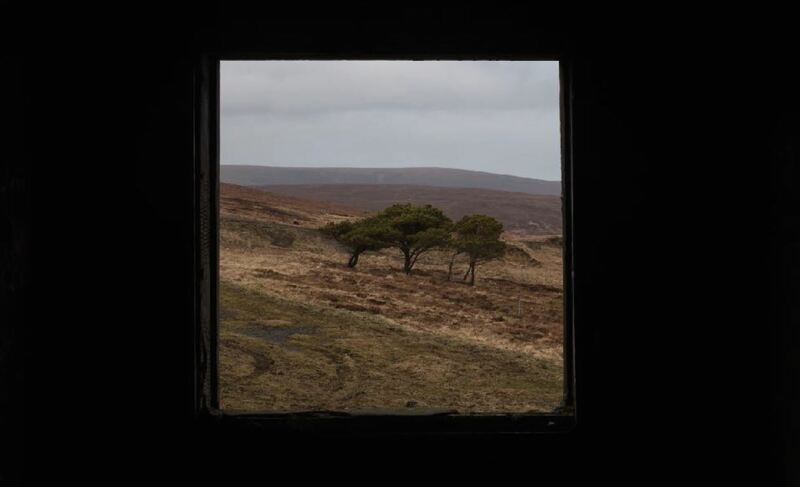 On the 7th of April 2018, carrying night-light candles and the portraits of the operators, I took the Houton to Lyness ferry, walked up Wee Fea, donned a head-torch and searched the building for the room in the photographs. The task was one of matching up the remains of ventilation ducting, electrical conduits, wall openings and light pendants, a process that took longer than anticipated. 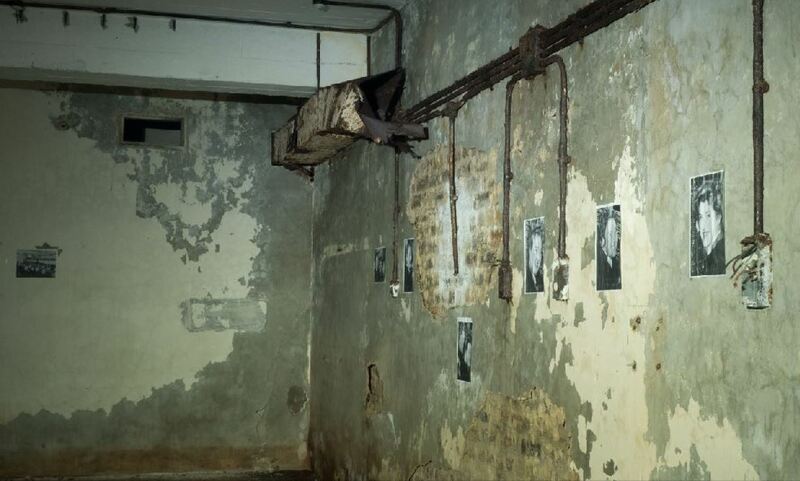 Many of the rooms seemed similar, though not identical, to that in the photograph. 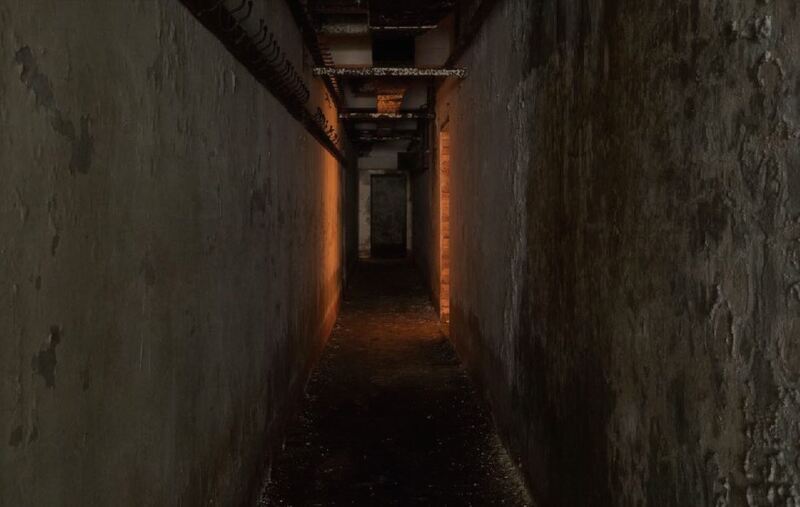 Moving from room to room I was aware of a vague sense of anxiety and of my beginning to wonder if the original photograph was of another facility. 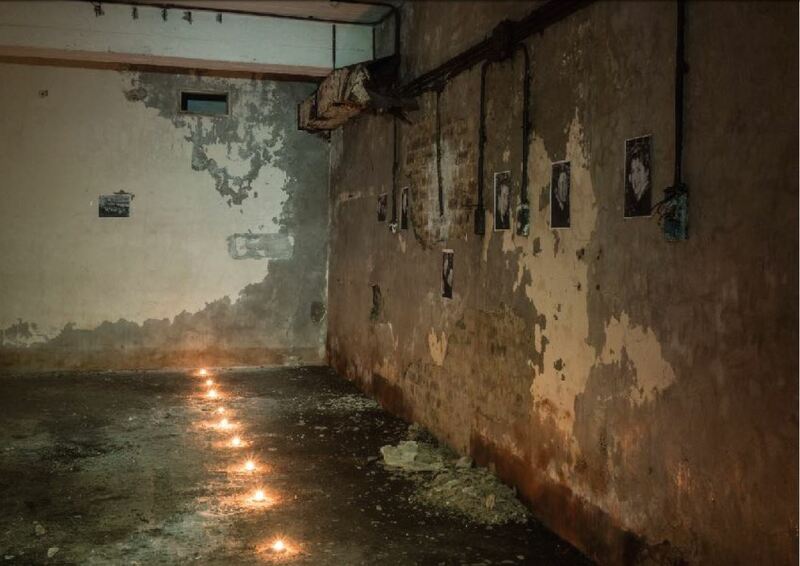 It was a good moment when I realised that the remaining ﬁxtures in one of the last rooms I searched in the cold, damp and darkness of the basement matched exactly those in the old photograph. 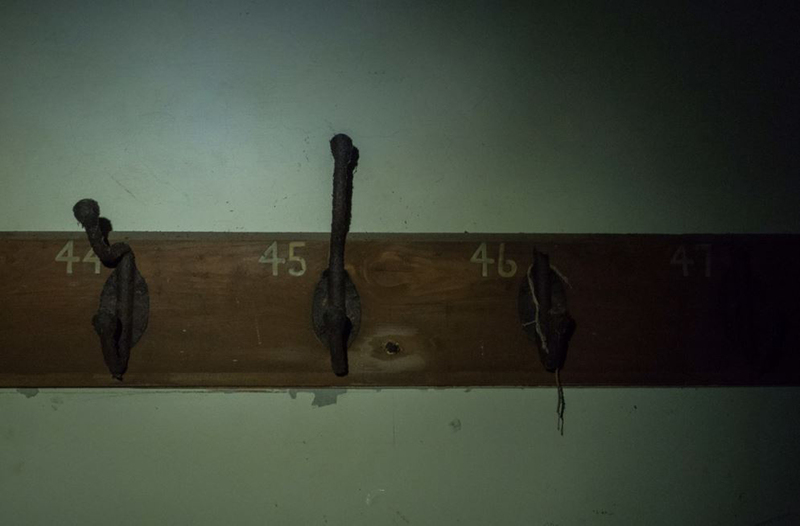 The doorway of the room was opposite a row of numbered coat-hooks. 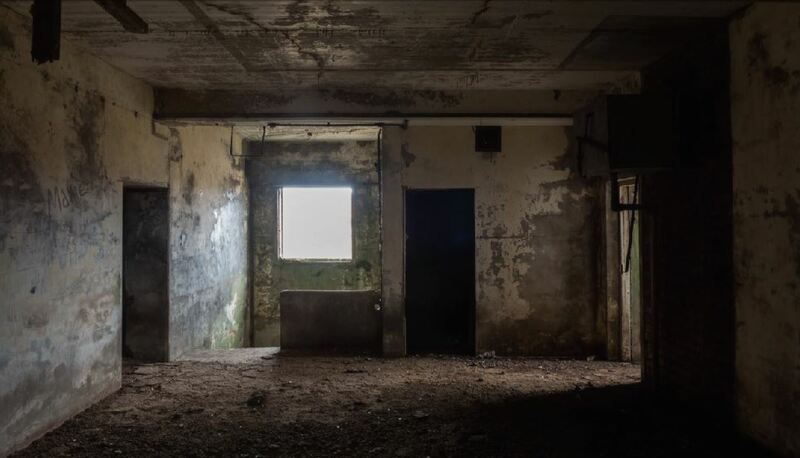 I was aware that over the preceding months, this building and these images had become a vague though persistent presence in my thoughts; to identify and enter the room felt like an arrival and an end. 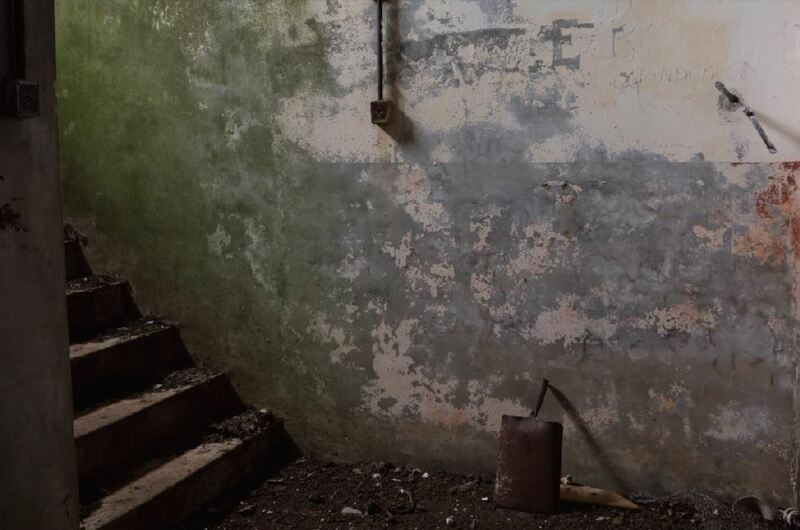 I recall standing there in the silence, trying to understand that this cold, damp room had once been dry, warm and full of the sounds of communication. And also trying to grasp quite what it was that had drawn me to this place. It was some time before I felt ready to place the portraits on the wall. 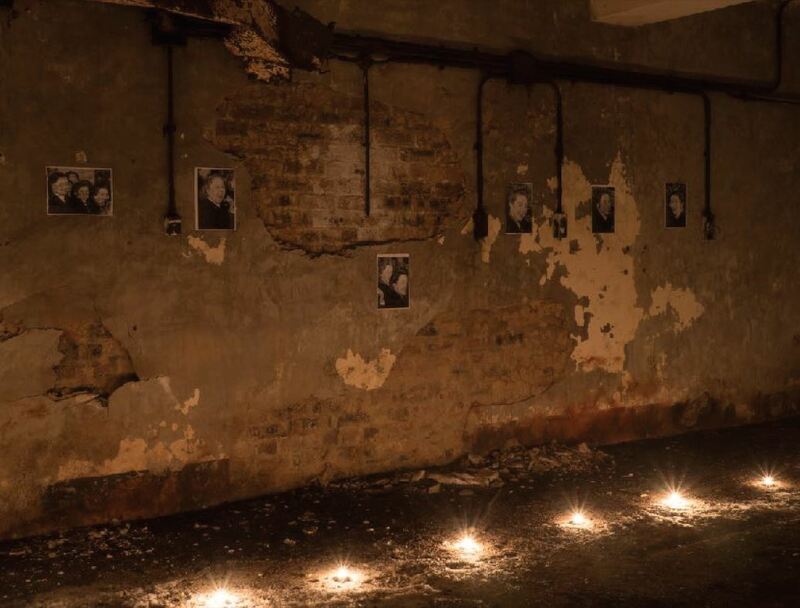 And so it was that guided by the original photograph and by the light of a head-torch, the portraits were pasted into place on the decomposing plasterwork, close by where the individuals would have worked over 70 years ago. Having placed the nightlight candles in a row (close to where the operators feet must have rested), I lit the ﬁrst one and remember how the ﬂame took hold of the wick, hesitated, ﬂared and hesitated again before steadying. The way in which the lighting of that ﬁrst candle disturbed the stillness and broke the silence of the room was as memorable as it was unexpected. 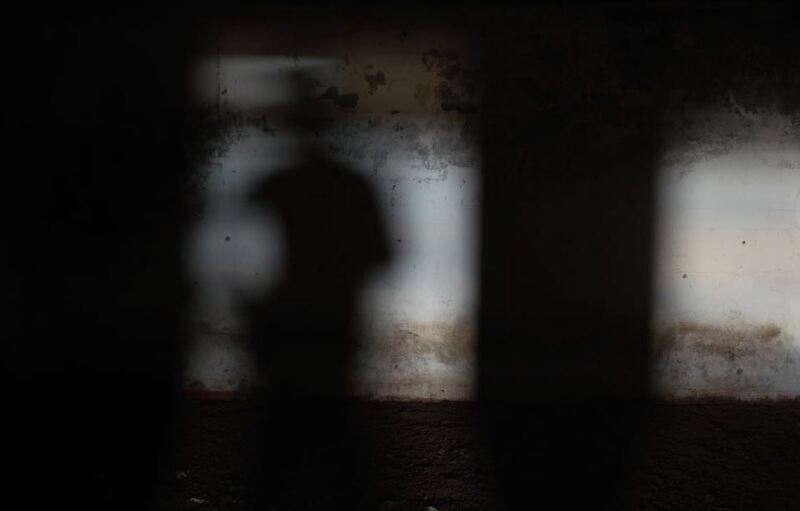 There came the moment where I had to make a conscious decision to leave the the room, to walk away from what had been the consummation of a long journey and leave the faces illuminated by a warm, silent light for a few hours before, one by one, the candle ﬂames would dim, falter, smoulder and die. Back in the corridor, I turned to have one last look. This photograph was taken using a tripod and long exposure; and although the resulting image is very much brighter than what could actually be seen, it perhaps gives a sense of the way in which the scene impressed itself upon the memory. Descending Wee Fea. Hidden in the woodlands are paths, gateposts and the remains of an accommodation block. So, there it was. A pilgrimage of sorts and a small ritual performed. I kept looking back. Up there, in the dark interior, candles would continue to burn for a few hours before, one by one, they withdrew their light. 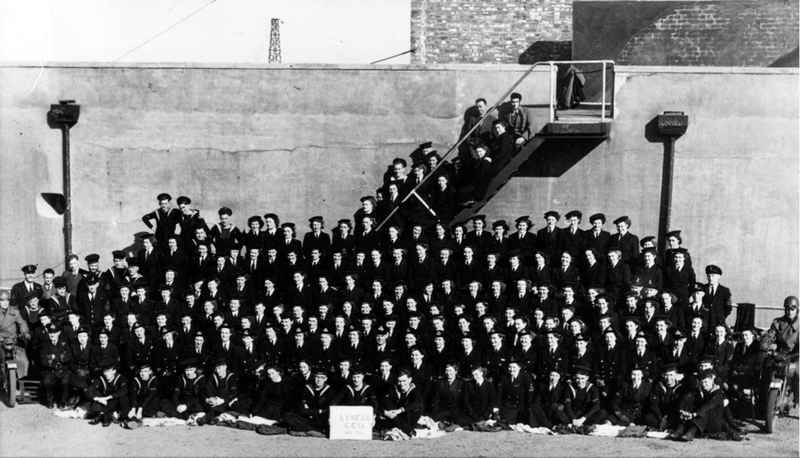 David Mackie and colleagues at the Orkney Archive for the wartime photographs. Wonderful article. Not inconceivable that one or two of the women in the photo could still be alive, and in their nineties. And certainly many could be perhaps identified. I guess they came from all over Britain, but some might have been locals to Orkney?